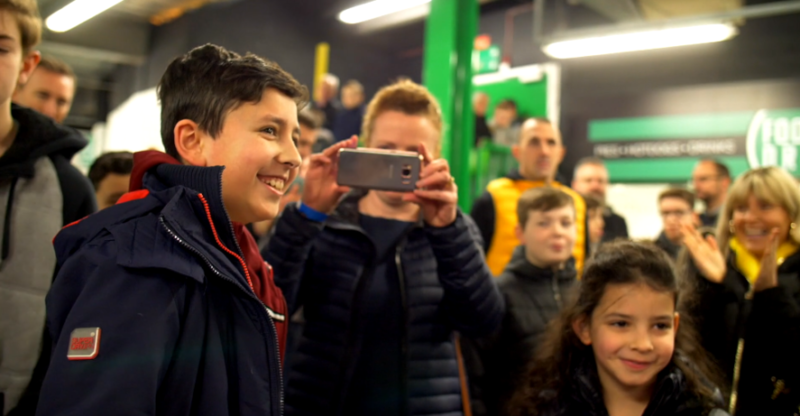 The competition has well and truly heated up at the EStars Featuring Fortnite Tournament with 13-year-old Roman Rai from Paisley, Scotland coming out on top at the kick-off event in Glasgow. Roman is now the front-runner to win an eye-watering £25,000. The grassroots esports tournament which commenced at the beginning of January, has seen gamers and fans of all levels compete against each other for a chance to play at the Grand Final at Stamford Bridge, London in March. EStars Featuring Fortnite started with a bang with the first leg of the tournament kicking off in Glasgow at Celtic Park. With adrenaline in full swing, Roman Rai (13), dominated his opponents and went on to claim an outstanding 20 eliminations in a single Battle Royale. Roman proved to be a swift but deadly competitor as he relied heavily on his creative editing skills and long-range shooting as he picked off his opponents one by one. Speaking on the win, Roman said; “I couldn’t believe it when I was told I won the Glasgow regionals. There were so many good players there including kids much older than myself. The experience was amazing, and I had so much fun in the Battleground.” When asked how he would spend the £25,000 if he wins Roman said; “I’d love to take my whole family on holiday to America and then spend the rest of it when we get home”. EStars featuring Fortnite is visiting the best sports stadiums over the next two months, offering fans who have what it takes a chance to play live and compete against thousands of others. The EStars Featuring Fortnite Tournament is open to everyone from the age of 12 upwards and they will all be in with a chance to compete for fantastic prize money with over 600 individual cash prizes to be won, which will be spread out across the remaining locations. The next stop on the tournament is Liberty Stadium, Swansea on 1st – 3rd February, where fans will have the opportunity to compete for the ultimate Victory Royale and win £25,000, experience the fantastic entertainment on offer, including dance contests, VIP meet and greets and opportunities to win esports swag. Tickets are available at www.estars.pro and are priced at £25.